Our Cacao may clump together and taste more bitter than similar products you've tried, but this is because we extract the cocoa butter using pressure not heat so it is truly raw and contains more enzymes and nutrients. MySuperFoods' Cacao has been Certified Organic by the Soil Association so you know you are only enjoying pure natural goodness. It is also bursting with antioxidants to make it an all-round healthy treat. Cacao is perfect for adding to drinks, smoothies, shakes and desserts with no guilt attached. Why not mix with milk for a delicious and healthy drink? Indulge and enjoy the goodness. Because of its high concentration of nutrients, a helping of Cacao may help to maintain healthy teeth and bones, contribute to normal muscle and psychological function, and reduce fatigue. Your satisfaction is our number-one goal. So if you encounter any problems and you want to send it back, let us know and we will arrange for a full replacement or refund. Easy! Our Cacao is truly raw, and you can see this by the way it sometimes clumps together. This is because the fat content in genuinely raw cacao like ours is higher than in cacaowhere the cocoa butter has been extracted using heat treatment. We extract cocoa butter using pressure rather than heat to preserve the enzymes normally destroyed by heat treatment, resulting in a truly raw cacao that packs in moregoodness. MySuperFoods' Organic Cacao has been enjoyed for centuries for its delicious taste and health-boosting nutrients. Once enjoyed by the Aztecs in South America, now you can sprinkle it into your favourite smoothies and onto your breakfast cereal for a tasty and nutritious treat. Our Cacao packs in a huge range of essential nutrients that are good for you, making it a truly excellent health food. 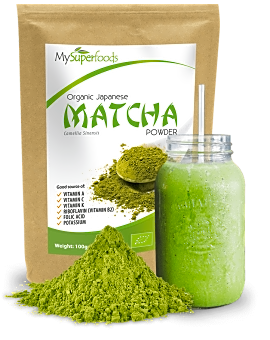 In each spoonful you will enjoy protein, fibre, phosphorus,magnesium, iron and copper. It also tastes great (it is chocolate, after all! ), making it the perfect option for adding to sweet treats, drinks, smoothies, shakes, desserts and more. The nutrients in our Cacao have been proven to provide numerous health benefits. Adding it to your diet may help to maintain healthy teeth and bones, contribute to normal muscle and psychological function, reduce fatigue, contribute to the transport of iron through the body and protect cells from oxidative stress among many other benefits. Certified organic by the Soil Association, our Cacao has everything you want and nothing you do not. Harvested by hand in the forests of Peru, no chemicals are used in its production, and the unique harvesting process ensures it has a higher antioxidant level than other products. In fact, it boasts more antioxidants than green tea! 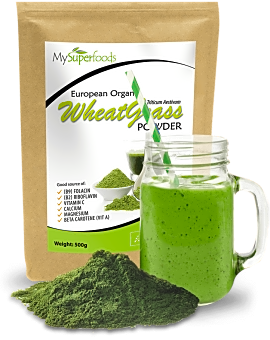 At MySuperfoods, we only select the finest strains of all our natural health foods. These are grown naturally and organically in pure conditions, and they are never intensively farmed, ensuring a higher nutrient count. And because we provide only the nutritious, you can enjoy with full confidence. FRIENDLY FOR EVERYONE: We want everyone to enjoy the benefits of our organic cacao powder equally, which is why our product is also 100% safe for those with special dietary needs. Vegan and vegetarian friendly, dairy and gluten free. Good packaging with fast delivery. Item fresh and ready for use. I add small amount to maple syrup then pour on home made popcorn so good and healthy snack. I am going to use in my smoothies and breakfast quinoa so again for a chochalolic a kick of taste but not the guilt. Top rate quality. Phenomenal! Am a recent convert to raw cacao and have been trying out various brands. This is my favourite so far. The taste is subtle and rich at the same time - earthy, chocolatey, smooth, fresh, clean and totally delicious. It ticks other boxes too such as value for money, being raw and being organic. I usually have it as a warm drink (half water, half almond or soya milk) and sprinkle cocoa nibs on top. A great alternative to coffee giving me just enough of a pick me up with a much gentler landing and packed full of nutrients. Yum! Wow! Yum! Bug Smile! This is the one!!!!!! By far the best tasting cacoa powder ever. 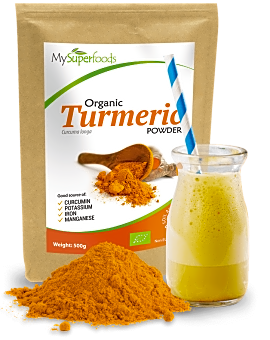 Firstly I buy it because it is raw and organic and it has excellent health properties. But it also needs to taste good! This brand is amazing.... I no longer buy any other brand because the sheer sumptuous delicious chocolatey depth of flavour of this brand outclasses any other I have tasted. The price is good value for the real quality you are getting I feel. I get a real hit and a buzz from this lovely stuff!!!!! Wow! Yum! Big Smile! This is the best organic cacao that we have tasted, it's so rich and has a deep chocolate flavour. Brilliant for cakes, energy bites, smoothies and hot chocolate drinks. The best on the market and a reasonable price tag. Delicious in smoothies and porridge so far and I'm sure I'll find more to do with it. Great that this comes in large quantities. Very nice quality. Would re-order this brand. Delivery was quick and MySuperFoods where great helping me with a damage product as they quickly send me another one. The Cacao powder is delicious. Definitely would recommend it. Competitive price, resealable package, sublime taste when mixed with muesli, or added to smoothies, protein shakes, etc. And, it's supposed to be good for you. Could feel the strong texture of cacao ! Really lovely flavour much stronger chocolate taste than my last brand - will be buying again. Great product so versatile I'm addicted. Best cacao I have tasted! This raw cacao genuinely tastes better than others I've tried.. it seems more 'mellow' and chocolatey and can change depending on how much you use (obviously, but with this cacao, the subtleties of using a lesser amount yields an almost milk chocolate flavour.. almost). I use it a lot in shakes (a really tasty one: 2 medjool dates, teaspoon of vanilla powder, teaspoon of almond nut butter, a level teaspoon of cacao and top with half oat milk and half semi skim milk - if you're ok with dairy.. blitz in a ninja or bullet then add an ice cube & blitz again.. totally delicious chocci shake that has converted quite a few of my 'it won't taste like a chocci milkshake' friends!).. you can add anything you like to that base mix.. like ground flax seed to thicken it a bit & get good omegas etc.. berries, banana, protein stuff etc..
That shake can go from being like a nesquik (3/4 teaspoon of cacao) to a full on death by chocolate flavour! (Dark rich chocolate, 1 full teaspoon cacao). I've liked quite a few other raw cacao brands just fine (used to get indigo brand too) but this one really is more delicious somehow.. it's hard to put my finger on, but a few of us have done a 'taste test', and this does just taste better, more smooth and delicious! 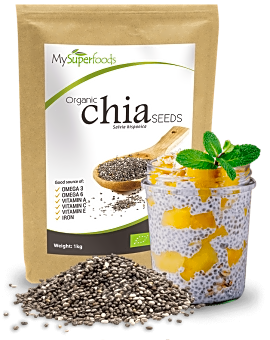 Works absolutely brilliantly in all baking, smoothies and raw recipes etc.. excellent stuff, I'm on like my 5th bag or something.. it lasts well too btw, you get a good amount and since I don't like things too chocolatey, it's good value for me. I recommend giving this brand a try, this cacao impressed me so much (unexpectedly impressed, since, it's just raw cacao! What's there to think about?! But the superiority in taste stood out enough for me to notice, if that makes sense!) that I'm trying some of their other products.. lucuma powder for one :-) which I wasn't mad on before, so let's see if they can convert me! Chocolate Fiends look no further! I can't stop myself from adding this to every smoothie ???? it's amazing!!! For all you chocolate fiends out there this is a top quality product at a bargain price. I've searched high and low and this is by far the best deal for Raw Organic Cacao Powder that I've seen. I'm more than happy with the product and will be ordering again for sure. I'd definitely recommend you to others. Thanks ?? not so sweet but a delightful taste will be buying more of this in the future also is has magnesium and minerals in it so much better for you you will not be wasting your money buying this product!!! My family loves this Cacao powder. I usually use it in baking and cooking. Its also perfect on our smoothies and making chocolate milk. I have also started adding a teaspoon of this in my coffee YUM!. It was perfect! The powder is light in color with a natural sweetness to it. Now, we dont have to use sweeteners because this is a great substitute and also Very healthy. This stuff tastes amazing. I add a scoop to my smoothie every morning. All I know is that the taste is on point. Second time purchasing and am very happy with the product. 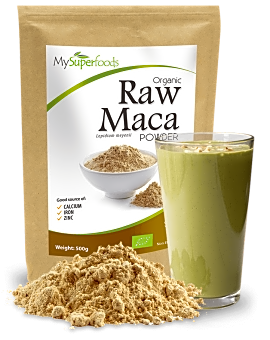 We go through a lot of cacao powder and this is organic and good price. Nice resalable bag and no quality issues. Love this item. Put on everything even my breakfast cereal. This is our favourite cacao powder. we have tried several others and this just feels so much better. I use this in my smoothies and oatmeal. Tastes great with a pinch of honey or other fruits. Great value and taste. Good nutritional benefits. Not much else to say besides we are satisfied. Will buy again. Love this stuff! I have gone through half the bag in two weeks! Very pleased with this product, will definitely purchase again. Breakfast is much more enjoyable! I've started using cacao powder in my chia seed puddings. I love the taste it brings to my puddings. It tasted very delicious! However, be careful not to use too much of it or it becomes a little chalky. If you over do it with the cacao it goes from being sweet to bitter. Try and experiment on how much or how little you like. Good seller , responded to my support mails very promptly. ?